Degrees of Power is the fourth book in the Prestian Series by Via Mari. This is a fantastic series, that I recommend you read in order, or you will not have the backstory to understand all the dynamics going on. This is the best installment of this series so far. 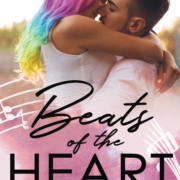 Katarina and Chase’s story continues in Degrees of Power, and I love how Ms. Mari shows different aspects of making a relationship work in each book in this series. This final book in the series brings closer to some of the things left open in the previous books. Very entertaining story and I would highly recommend this series. You definitely won’t be disappointed.